On Friday night we were fortunate enough to get invited along to Festival Lough Erne, and a celebration of all things Erne County at the Lough Erne popup restaurant in the newly refurbished Enniskillen Castle. 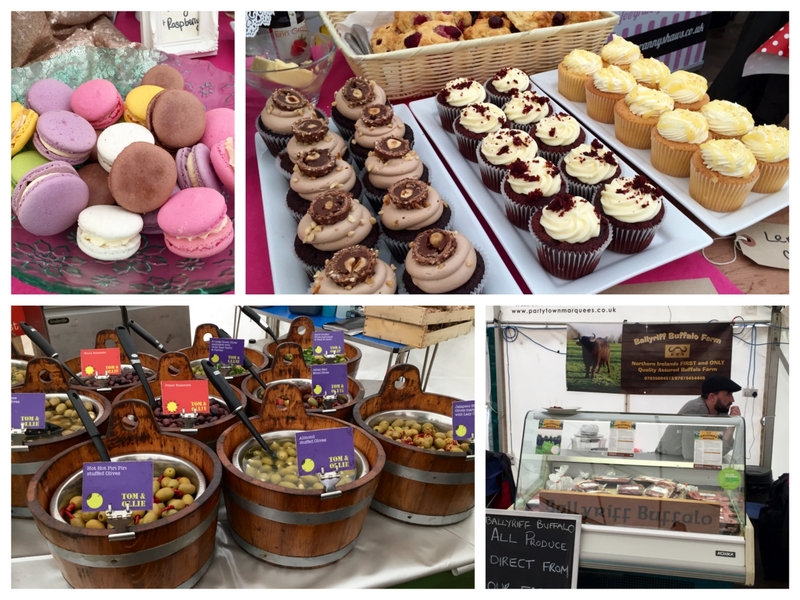 Now in its second year, Festival Lough Erne showcases some of the wonderful local food producers in Fermanagh, and this year to celebrate the year of food and drink here in Northern Ireland, the festival marked the end of the inaugural Fermanagh Restaurant Week. 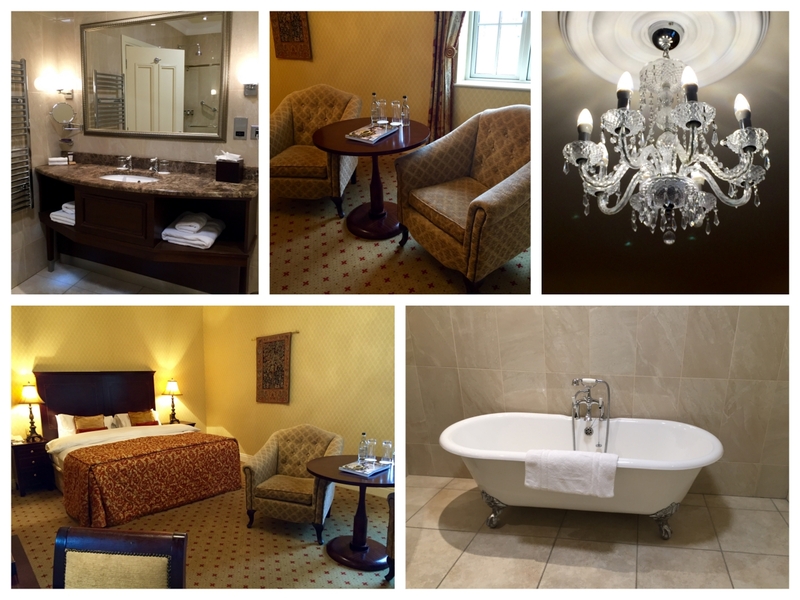 We arrived at the stunning 5 Star Lough Erne Resort on Friday afternoon and checked into our room before getting ready to dine in the castle later in the evening. 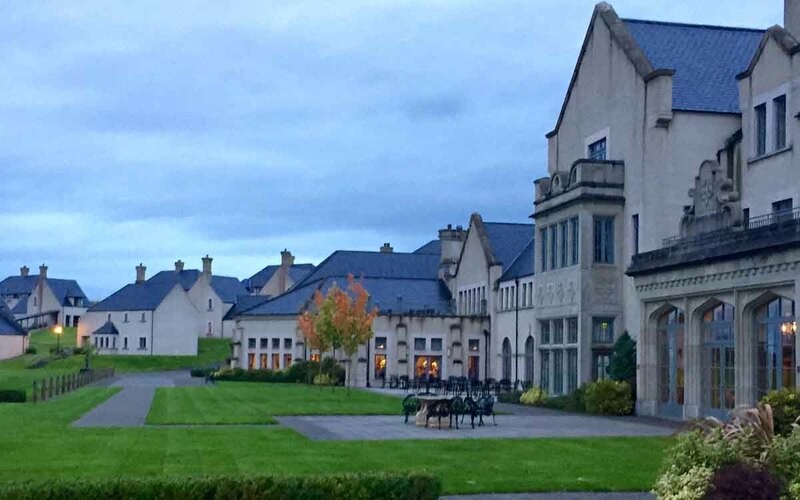 This was our first time at Lough Erne Resort and it really is a big slap in the face of tranquility, a great venue to just escape from it all and switch off! After a deep-soak in the amazing free-standing bathtub at the hotel, we made our way into Enniskillen to dine with almost 100 other diners at the Lough Erne popup restaurant, a first of its kind in the beautiful surroundings of Enniskillen Castle. Before sitting down to enjoy our meal, we got a chance to meet Chef Noel McMeel from Lough Erne Resort and some of the team that helped organise the popup restaurant. In addressing the room, Noel was visibly enthused when talking about the local produce in Fermanagh, explaining that the evening’s food would be championing many local producers. As we made our way to the dining room for our starter we could see just what Noel was talking about, as the starter course was a sharing platter showcasing some of Fermanagh’s finest local producers. From the vibrant colours of the salad and chutneys to the smells and taste of the salmon, ham hock and corned beef, this really was a feast for the senses. 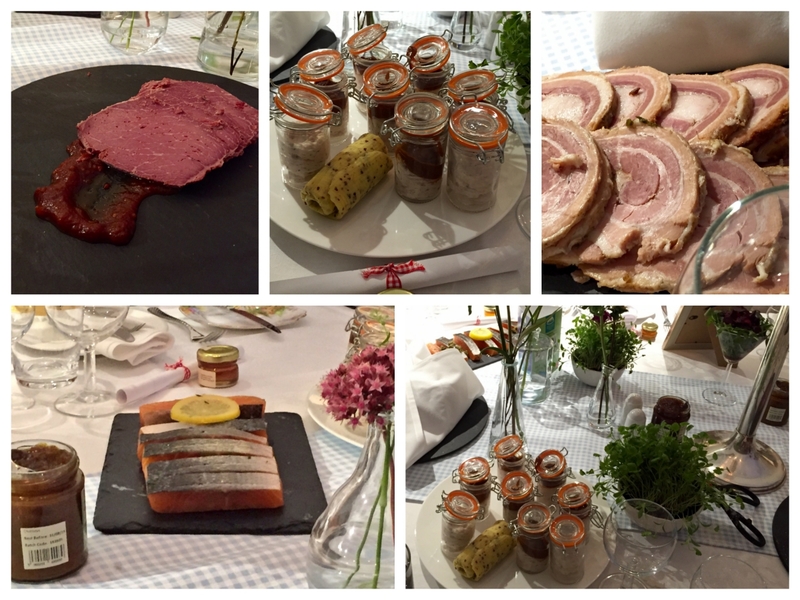 The highlight for us was the Keenan’s Whiskey Cured Salmon and Pat O’Doherty Braised Pork Belly. As we waited for our main course to land at the table, we got a chance to catchup with William (General Manager) and Joanne (Marketing Manager) of Lough Erne, and the lovely Niamh Mannion from The Gamebird Food Chronicles and TheTaste.ie. Niamh was sharing her MasterChef Ireland tales with us, and we had a great chat about some of the best restaurants around various places in Ireland, and general food chit chat. Sunday roast is the weekly food highlight for many, and Noel whipped up a Friday night treat with a sharing platter inspired by the Sunday roast dinner. 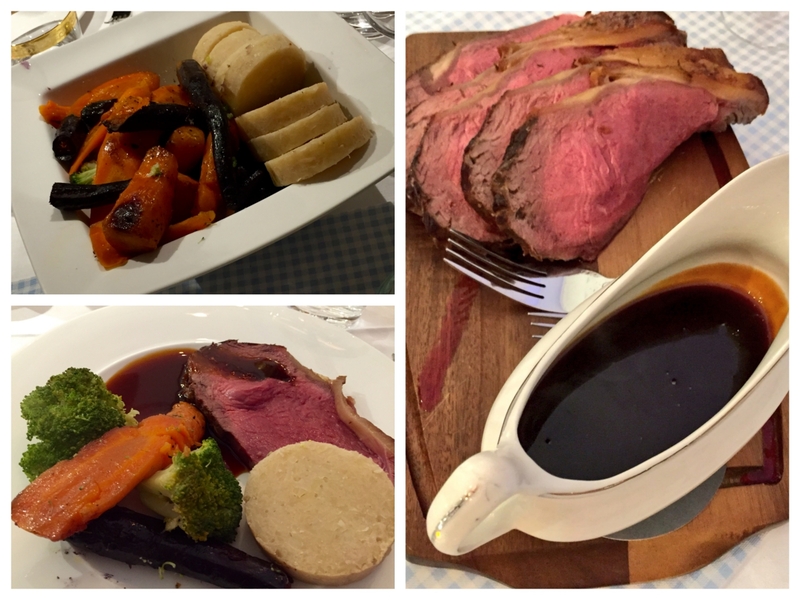 The hero of the dish was the roast beef, supplied by local meat producers Kettyle Irish Foods. The beef was accompanied with roasted carrots, deep pan boxty and broccoli, with a deep, rich jus. The beef was served perfectly pink and melted in the mouth. The final dish of the night was strawberries and Chantilly cream. 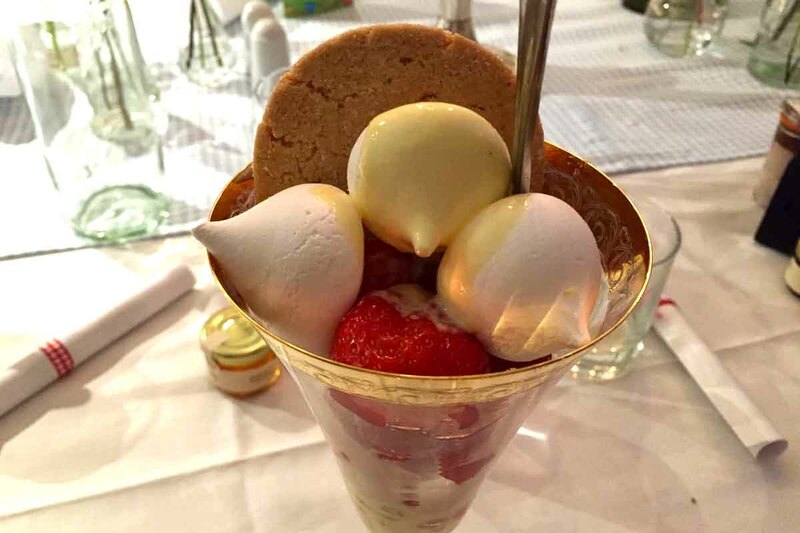 This dish was much more than just strawberries and cream though, with a wonderfully buttery shortbread, mini fudge pieces and meringue completing the dessert. A great way to end an enjoyable evening, an evening in which Noel and the team from Lough Erne more than heroed the amazing local produce in Fermanagh. We called it a night with Enniskillen Castle beautifully lit up in the background and made the trip back to Lough Erne. 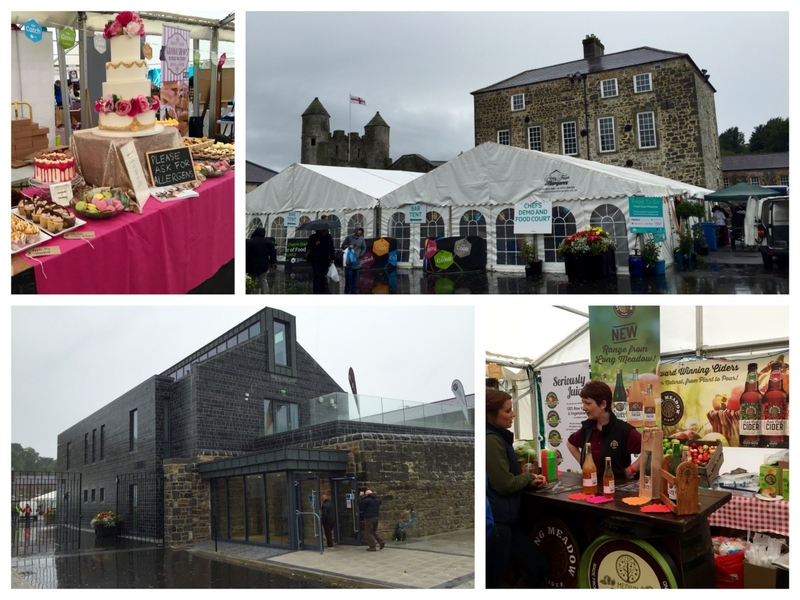 On Saturday we made our way back to Enniskillen Castle to check out some of the cooking demos and spend some time walking around the food tents which again, showcased some of the great producers in the Fermanagh area. The weather wasn’t playing ball (typical) but this meant the food tent and bar was pretty busy, with many locals taking shelter across the day. We spent some time going between tents before making the trip back to Newcastle where the weather had unfortunately not improved much. In between the popup restaurant and Festival Lough Erne, we spent some time marveling at the scenic grounds and surroundings of Lough Erne Resort, lazing by the pool and relaxing in the luxury lounge at the hotel. The room we stayed in was spacious and opulent and the bed was incredibly comfortable (always a good thing when staying in a hotel). While we didn’t dine at the 3AA Rosette Catalina Restaurant (due to the popup experience), we did get to enjoy breakfast at the hotel and there was a wonderful variety of cooked and continental breakfast on offer. 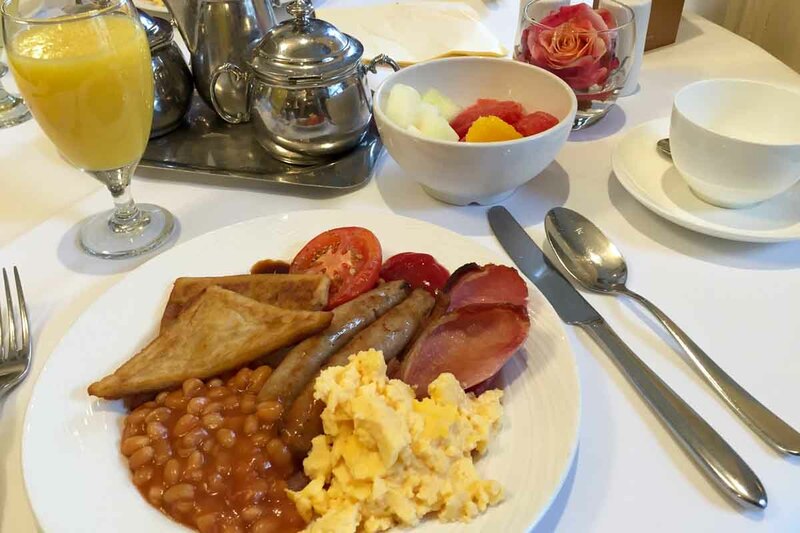 With buffet and cooked options available, the breakfast at Lough Erne is up there with the very best hotel breakfasts we’ve enjoyed and certainly set us up for a busy day exploring Enniskillen. 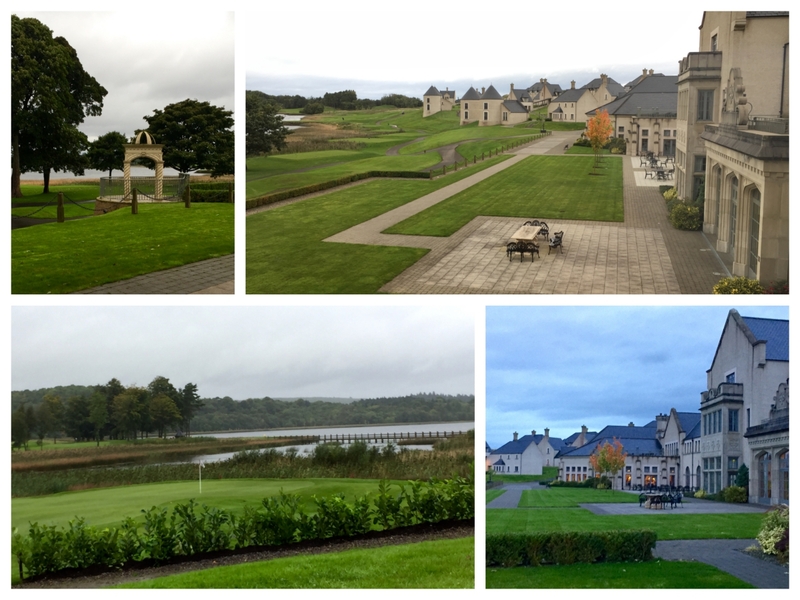 While our stay was short, we were left more than impressed with both Enniskillen and Lough Erne itself. Fermanagh and Omagh was named the happiest place in the UK to live in 2015, and it’s easy to see why. The people we met were so friendly and the area itself is somewhere you could easily fall in love with. Our first weekend break to Fermanagh was to Lusty Beg last year, and Enniskillen, like Lusty Beg certainly delivered. We return to the area in a couple of weeks as we are heading to Blessinbourne Estate in nearby Fivemiletown, so we look forward to making the trip into Enniskillen and spending a little more time in the town. 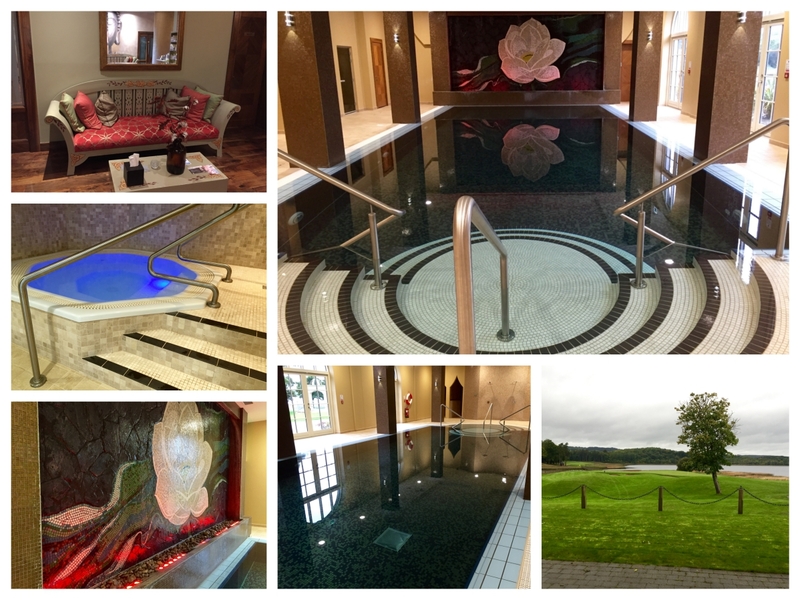 We were invited to Festival Lough Erne and Lough Erne Resort by Fermanagh Lakelands Tourism. All views expressed above are entirely our own.